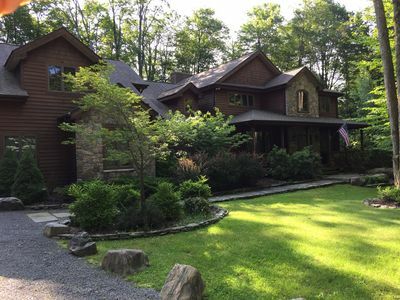 Poconos Home w/Billiards-2 Blocks to Lake Harmony! 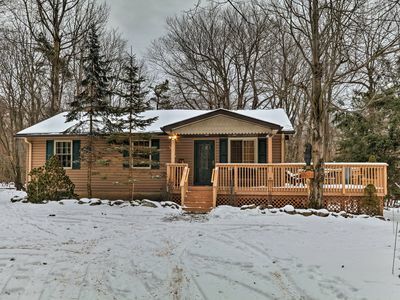 Escape the hustle and bustle of everyday life in this 3-bedroom, 2-bathroom home nestled in the breathtaking Poconos wilderness. 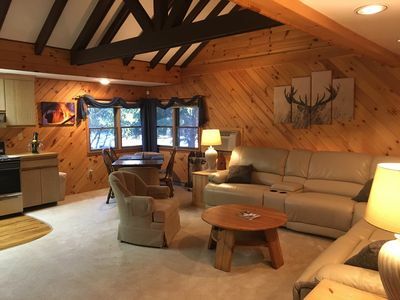 This spacious vacation rental boasts 1,800 square feet of tastefully appointed living space and accommodations for 8 guests. Enjoy peaceful days on the clear blue waters of Lake Harmony, just 2 blocks away, for kayaking, canoeing, swimming and more! Hit the slopes at Big Boulder and Jack Frost Ski Resort or enjoy scenic hikes through Hickory Run State Park. 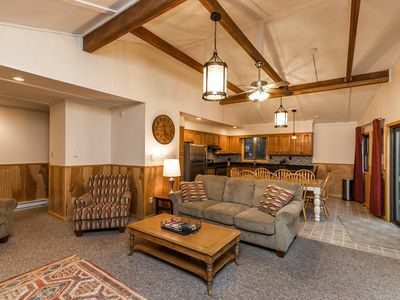 Your vacation begins the moment you step foot into this charming home boasting vaulted ceilings, picture windows, and rustic decor. 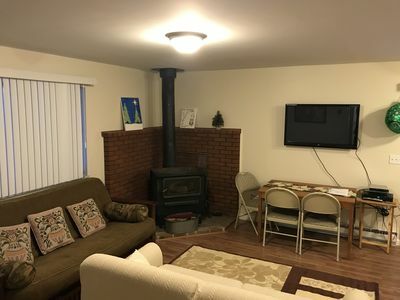 The warm and cozy living area is a peaceful space to kick back during your downtime with the sofas, flat-screen TV, and wood-burning fireplace. 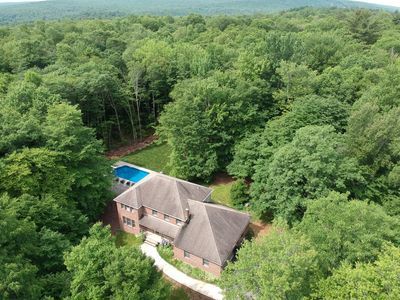 Head to the basement for endless entertainment with a pool table, foosball, a bar, an in-home theatre system with surround sound, flat-screen TV with Sling, wood-burning fireplace and comfortable sofas. The optimal movie night experience awaits on the large projector screen! After adventure-filled days, retreat to the fully equipped kitchen to whip up home-cooked cuisine for your loved ones. Enjoy breakfast, lunch, dinner at the 6-person dining room table. 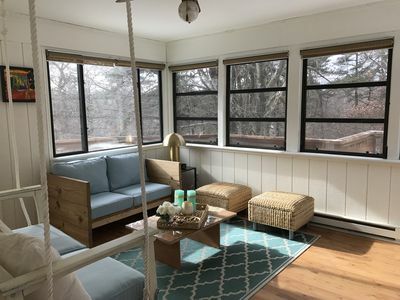 Step outside for fresh air on the expansive back deck with patio furniture, gas grill, fire pit, and table with seating for 4. 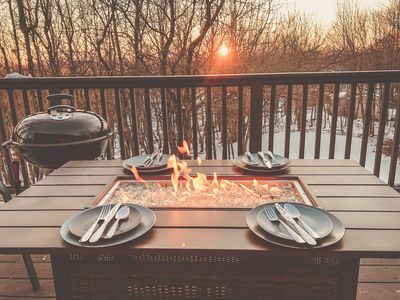 Fire up the grill for nightly barbecues on your private outdoor oasis. When your eyes start to get heavy, retire to one of the 3 bedrooms with plush beds, flat-screen TVs, and earthy decor for a good night's sleep. 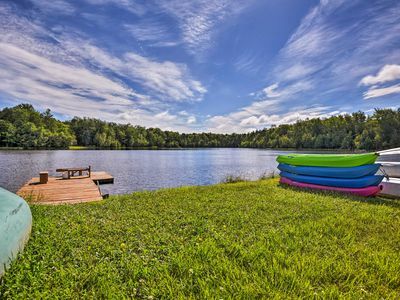 Two blocks away from the property is Lake Harmony for all of your aquatic adventure needs! 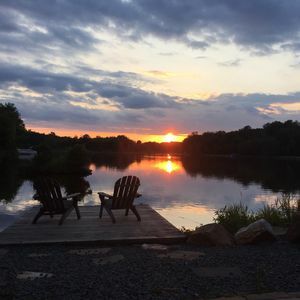 Kayaking, canoeing, boating, fishing, swimming, and more are just minutes from your home-away-from-home. Head to the H2Oooohh! Indoor Water Park and explore the 53,000 square feet of thrilling slides, a wave pool, an activity pool, play structures, hot tubes, and an indoor Flowrider! Hit the slopes at Jack Frost and Big Boulder Ski Resort just 7 minutes away! 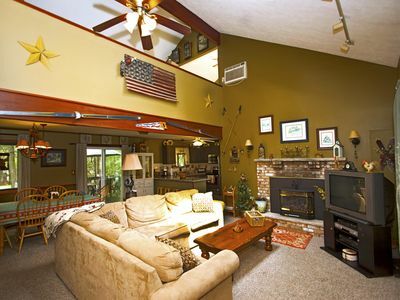 Ski or snowboard on the 16,50 acres of premier terrain in a beautiful setting. Check the events calendar to see which bands are playing during your vacation! 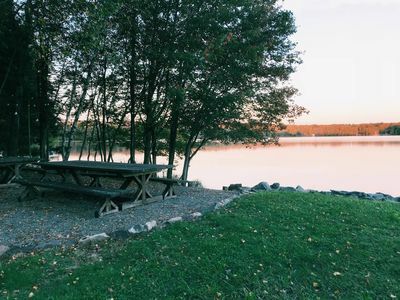 Outdoor enthusiasts will love the proximity to Hickory Run State Park just 12 miles away for hiking, swimming, fishing, cross-country skiing, ice skating, and more throughout the scenic Poconos wilderness! 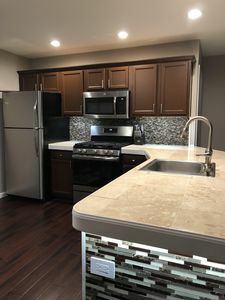 - Amenities include a fully equipped kitchen, 4 flat-screen TVs (with 1 TV has a Sling), projector screen, free Wifi, 2 wood-burning fireplaces, furnished deck, gas grill, fire pit, bar, foosball and pool tables, in-home theatre system with surround sound, and much more! 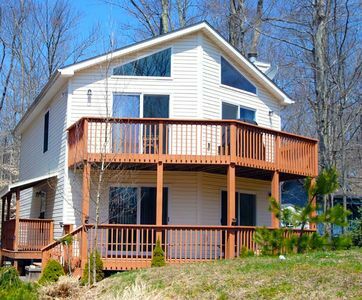 - Great Lake Harmony location just 2 blocks from Lake Harmony, 5 minutes from H2Oooohh! 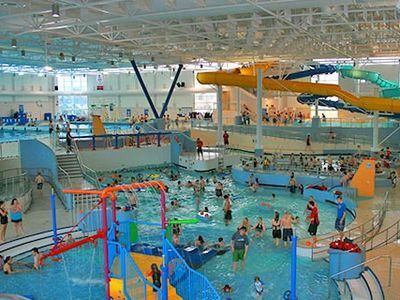 Indoor Waterpark, a 7-minute drive to Jack Frost and Big Boulder Ski Resort, and 12 miles from Hickory Run State Park! 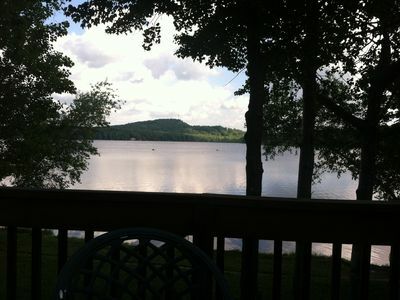 LAKEFRONT with Beautiful Views at Arrowhead Lake! Looking For Some Beautiful Views?? 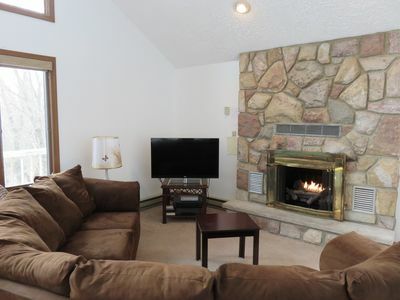 Zen At 1421 in Mount Poconos with Fireplace, Ping-Pong table, BBQ & 2 Fire-pits! 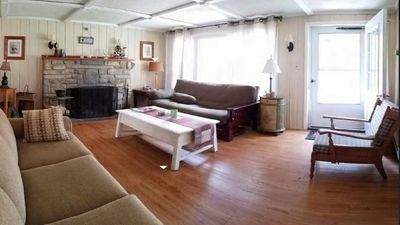 Spacious new home, HOT TUB, perfect family getaway, BEST LOCATION in Poconos !!! Summer Vacation Destination! Great For Families & Children! New listing! 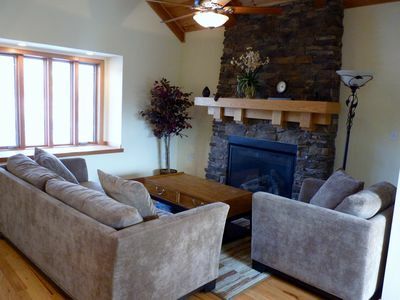 Tip Top Lodge at Skye Drive- 5 beds, 2 baths, sleeps 14! 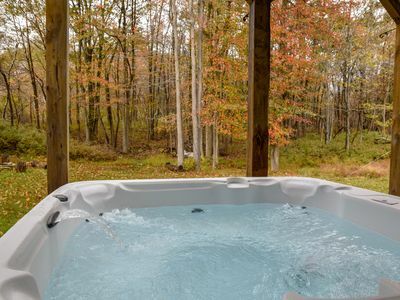 ONE OF A KIND IN POCONO*5MIN JACK FROST&BIG BOULDER,SAUNA,HOT TUB, GAME ROOM. 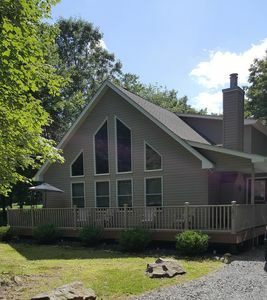 Lakefront Home in Poconos for Lots of Summer Fun! Cedar Log Cabin in Pocono. Family friendly.